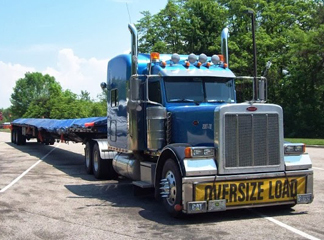 We Specialize in heavy haul and oversize loads,wideloads, from and to all points in Canada and USA. Flat beds, Drop decks, double drop decks, 9 axles, 11 axles, 13 axles to accommodate all machinery moving. BENEFITS OF DEALING WITH FORSAB INC. 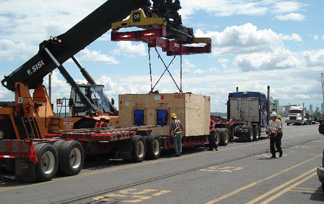 Established in 1995 with 20 years of experience in the transportation industry Forsab Inc has earned the trust of many major freight forwarders, manufacturing companies in Canada and USA. 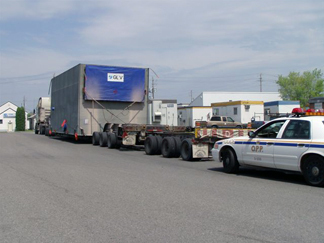 Located in the greater Montreal area, we could pick up your oversize and heavy loads or your regular freight any day within the province of Quebec. Our access to over 1000 trucking companies around North America allows us to locate the proper equipments to accommodate your freight expeditions at any given time and day. We work within a wide network of companies, Riggers, Packing companies, transfer, drayage and customs broker to provide you with a turn key solution for all your transportation needs. We are highly experienced in heavy hauling and oversize freight and have a thorough knowledge in all facets of transportation and the logistics behind it. Through a strategic partnership with Forsab INC, our customers employ our knowledge, systems and experience to develop an effective and efficient logistics network, so they can concentrate resources and energy on their core business. Specializing in complex, out of the realm of normal hauls also called Superloads, Forsab Inc .can arrange the logistics of the most difficult shipments your company may encounter, including, but not limited to: Transformers, Turbines, Generators, Compressors, Condensers, Boilers, Injection Mold Machines, Stamping Presses, Control Buildings, and other excessively heavy and oversized loads. Our professional and courteous staff is standing by waiting to assist you with your next transportation challenge. With over 20 years of extensive experience, we will assist you with all facets of your move from engineering, load planning, permits and logistics, to final delivery. Considering us for your Transportation needs in your selection process encompasses many factors...cost, time for the move, reliability, safety of the commodity, equipment, and many others. Here at Forsab Inc. we excel at getting the best possible results for all of these issues. Our motto is "Keep it simple without sacrificing quality." We look forward to the opportunity of working with your company and we will strive to develop a working relationship with your business. Website Design by ICT SOLUTIONS. All Right Reserved © 2016 FORSAB Inc.